Dubai-The first foundation seminar for Kowat AlRami sports was inaugurated in Dubai, UAE under the auspices of Dubai sport Council with the participation of Dr.Nagy Ismail Hamid, professor of sports management – representative of Dubai sport council and the international expert Dr.Walid Kassas president of World and Arab Federations of Kowat AlRami and with the attendance of Secretary General of the International Federation of Kowat AlRami Dr.Ramzi Al Noeimi , founder of this sport in UAE. 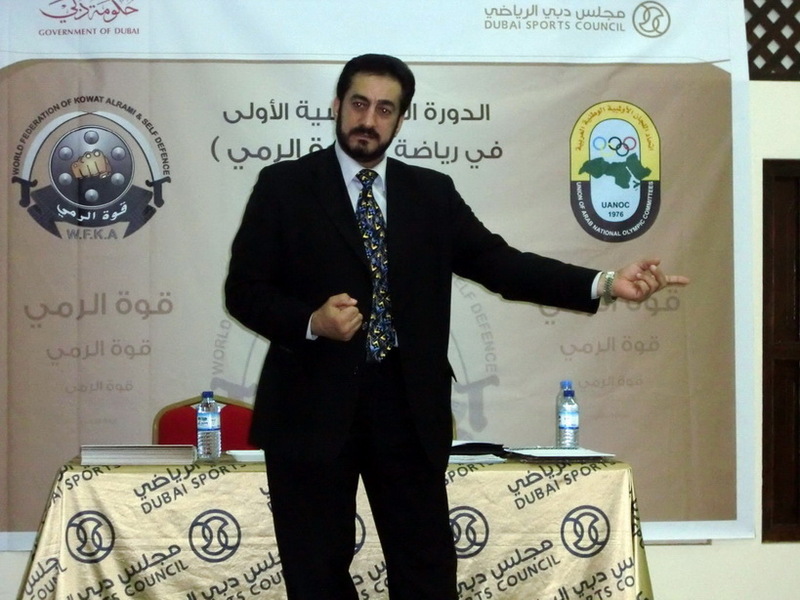 The seminar was conducted for two days where as the first day contained a comprehensive theoretical lecture delivered by Dr.Walid Kassas which was about the martial arts (origin,history,developments….) 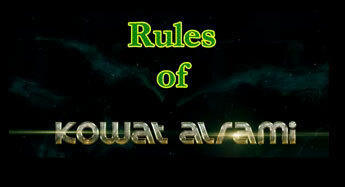 and then a detailed information about the origin of Kowat Al Rami Sport ( its concepts,meaning,styles…) . The lecture was concluded with questions and answers session with the participation of 35 instructors and athletes from various styles of martial arts as (Karate, Taekwondo, Kung Fu, Kickboxing, Muay Thai, Judo, etc…). The attendees from different nationalities ( UAE,Jordan,Syria,Lebanon,Egypt,UK,USA,Sudan, and Iran) have come from different emirates from UAE ( Dubai, Sharjah ,Ajman ,Ras Al Khaimah, Abu Dhabi and Al Ain..) . The lecture was followed by a training session for the attendees headed by Dr.Walid Kassas and assisted by Dr.Ramzi Al Noeimi. 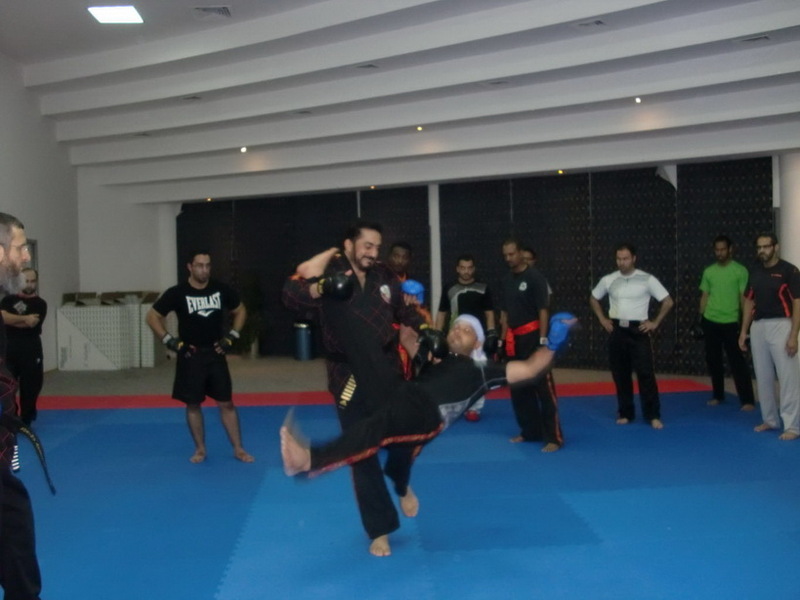 The training was a brief explanation for the most important techniques of punching, kicking, holding, correct ways of falling, etc.. then the chance was given for the attendees to ask about some of the techniques of this Arab International Sport. 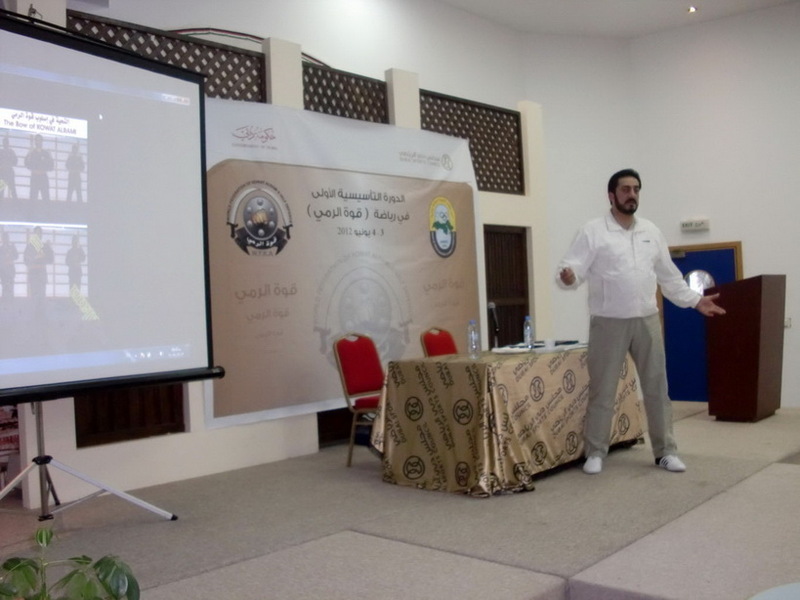 The second day included a comprehensive lecture about the self-defense techniques in Kowat Al Rami sports with the competitions methods and ways of evaluating the competitors. 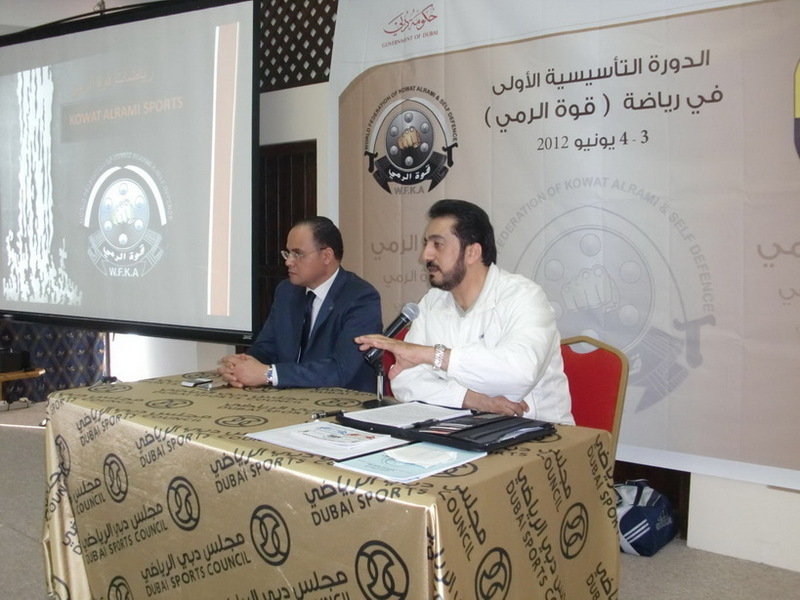 Rules of Kowat Al Rami Sports were explained in details by Dr.Walid Kassas showing how points are scored and calculated. Hand signals as warnings and penalties which to be used by judges and center referees were discussed and explained as well. Educational and explanatory aids were used in this session to give a better idea about the rules. The seminar was concluded with the attendance of Dr. Ahmad Al Shareef Secretary General of Dubai Sports Council, Dr. Walid Qassas President of Arab and International Federations of Kowat al Rami and Dr. Naji Hamid from Dubai Sports Council. The appreciation given to Dr.Walid Kassas for his response for the invitation to conduct the theoretical and practical lectures about this foundation seminar, and in his turn, Dr.Walid Kassas had thanked Dr. Ahmad Al Shareef secretary General of Dubai Sports Council and Dr.Nagy Ismail for giving the chance to him to conduct this seminar and appreciated the kind auspices of this event , hoping to continue in future by holding more seminars for classifications of instructors and athletes and organizing an international competitions under the auspices of Dubai Sports Council. Certificates of participations were distributed for the attendees followed by group photos taken with the attendance of Dr.Walid Kassas and Secretary General of Dubai Sports council H.E. Dr. Ahmad Al Shareef, Dr. Nagy Ismail and Dr. Ramzi Al Noeimi Secretary General of Kowat Al Rami Federation along with all participants.